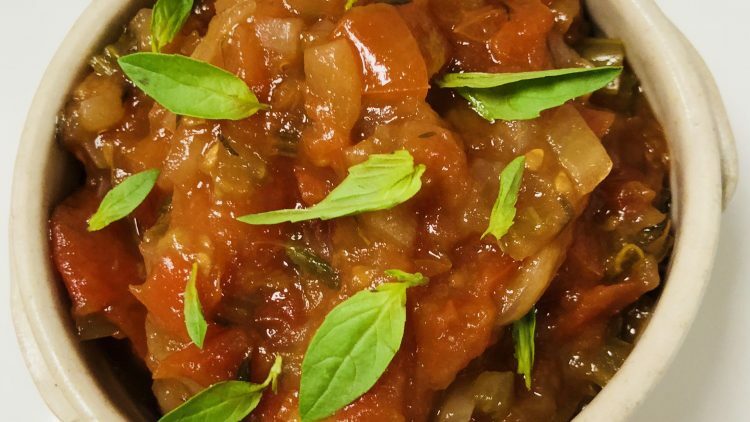 This delicious chutney is easy to make and is a great way to use up any spare tomatoes. Place all the ingredients into a pan and simmer for about 1hr or until all the liquid has evaporated and is a chutney like consistency. Then allow the chutney to cool, remove the basil, thyme stalks and garlic.